Born and raised in Oklahoma I have always had a special love of Texas being my neighboring state and all. In my thirty years I have visited Texas many times but most of these trips have taken me to places like Dallas or San Antonio. I’ve never really looked any closer than these Big city trips but after I got the chance to visit Grapevine, Texas a few weeks ago I got a look at a whole new slice of paradise. Grapevine, Texas is centrally located in the Dallas/FortWorth area and is just minutes away from DFW airport. 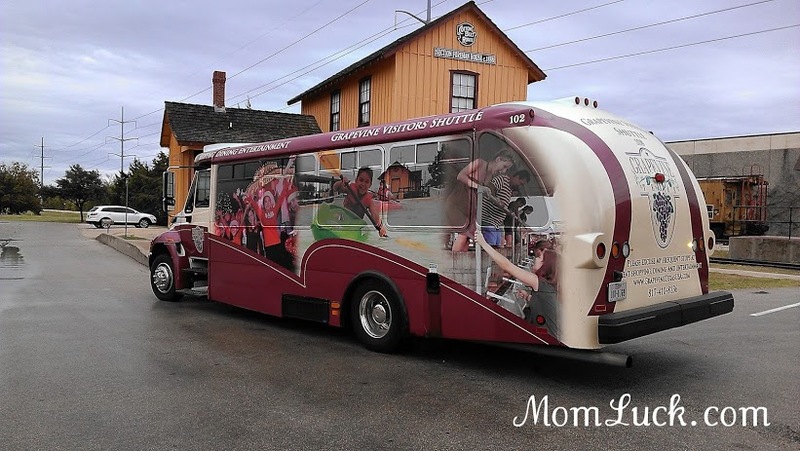 In fact they have a wonderful new program called the Grapevine Visitors Shuttle where they will pick you up and take you around to some of the best places in Grapevine during your layover. The Shuttle picks you up from the airport and takes you to places like the Grapevine Mills Mall where you can shop till you drop or grab a bite to eat. The Shuttle Service recommends that you have at least a 4 hour layover so that you have plenty of time to enjoy the sites and get back to the airport in plenty of time. The price for the shuttle will run you only $5 per person or $10 for a family, this is a great deal especially for people who hate being stuck in the airport all day (raises hand). The Christmas season is a great time to visit Grapevine because they have an abundance of activities and events going on throughout the month of November and December. There is a reason that the Grapevine is called The Christmas Capital of Texas and it doesn’t take long to figure it out as you enter this festive town. Grapevine sparkles with millions of Christmas Lights, decorations, animated characters and so much more. I visited right before the Christmas events were beginning so I didn’t get to see it completely finished but I was able to see about half of the lights and decorations and it was simply amazing. 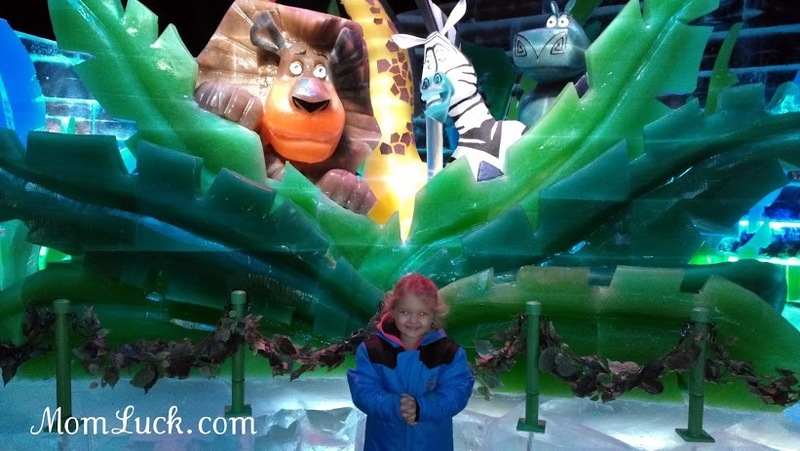 Throughout the course of 40 days Grapevine hosts over 1,400 different events including the North Pole Express, Madagascar ICE!, Ornament Glassblowing at Vetro, Family Christmas movies and much more. We were only in Grapevine a couple of days but with all of the activities and events going on, we could have easily extended our stay a few more days. Grapevine is very close to the Dallas/FortWorth area so even if you are not staying in Grapevine I would highly recommend you take the 20 minute or so trip to see some of the places in this cozy little town. The Grapevine Mils Shopping Mall is amazing and holds just about any store you could think of. We didn’t get much of a chance to go shopping but we did check out the LegoLand Discovery Center and SeaLife Aquarium which were both incredible and fun for the whole family. I would definitely plan to spend at least 2 hours in each of these places so that you are able to really experience all they have to offer. Grapevine also has a great selection of dining options from quick and easy, fun and exotic, or romantic. We have always wanted to try out the Rain Forest Cafe and I am so glad we did. Dining here was an experience in it’s self, how many people can say that a gorilla has talked to them while they ate. My kids had a great time at the Rain Forest Cafe, although it took my daughter about 30 minutes to realize that the Gorillas were not going to attack us. The food was great and the service was even better. 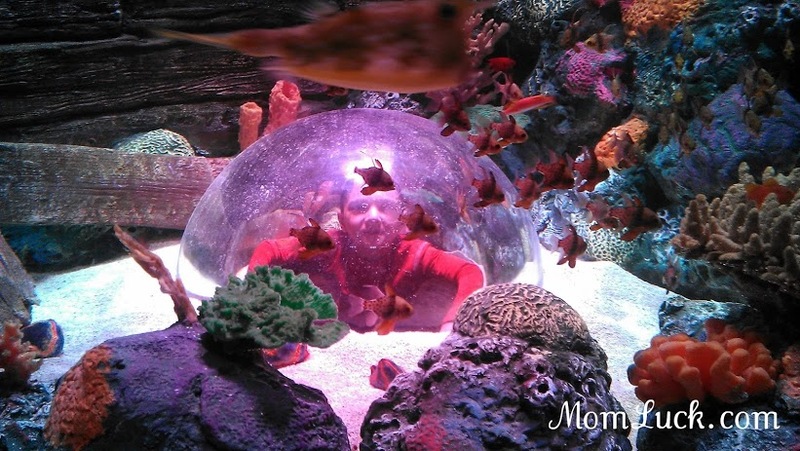 A great place to check out with or without kids. 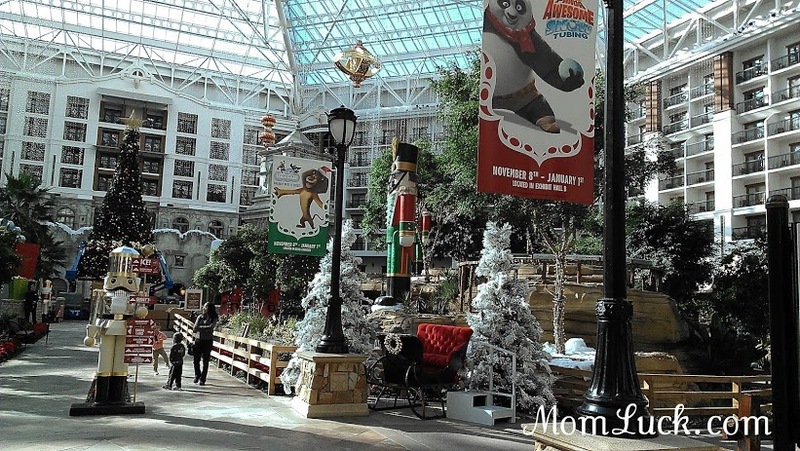 If your planning to stay overnight in the Grapevine area, your in luck they have some amazing properties that include The Great Wolf Lodge and The Gaylord. Both are beautiful hotels and so much fun. I will be bringing you individual posts over the next few weeks on some of the places that we visited so be sure to check back. We had a great time in Grapevine and definitely plan to head back next year. For more information on Grapevine, Texas be sure to visit the Grapevine Convention and Visitors Bureau for schedules and times of events as well as all this city has to offer. 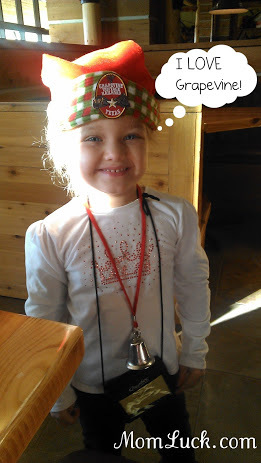 *My family and I toured Grapevine as part of the Family Travel Conference Group. We were provided with Lodging, Food and other activities. All opinions expressed are 100% honest and my own. No compensation was received. Oh, oh, oh that looks fun!!! ICE! Next week we’re going to see the one in Nashville. It’s a Shrek theme. What a great time! we will be seeing ICE in Florida soon. Looks like so much fun! Wish we had stuff around here like that. THat looks like a super fun place for the Holidays! It looks so festive and fun!